1. a miniature version of mythical monster like a giant reptile. 2. an electro-indie group based in Gothenburg, Sweden. I’m referring to the later of the two. This band isn’t armored with scales and doesn’t poses any reptilian features for that matter, however, breathing fire and passion into their sophomore release, Machine Dreams, is an act that that only a mythical monster like a giant reptile could do better. Sorry Yukimi, you lost me. Once the feather has fallen, we’re not even half way through our machine dream. Little Dragon continues their soulful pop-tromp through their electro-swamp, but wallowing in sounds and song structures we’ve heard only a few minutes ago. “Runabout” should make any person with a pair of functioning legs to runabout the dance floor similar to that of an opiated jack-in-the-box, but then is disappointingly bogged down once again. 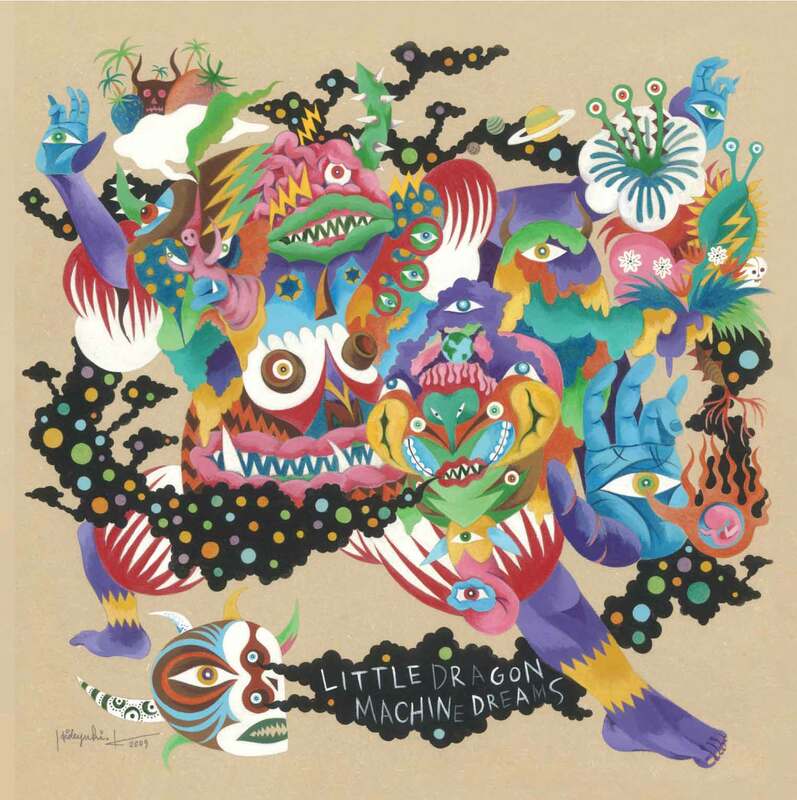 Now at the this point, I would usually take out the CD and counteract the heartfelt song writing and clever sonic craftsmanship with the novelty of MIDI death metal covers, but Little Dragon managed to keep me tuned in. They rewarded me the last track titled “Fortune,” a smooth and sultry dystopian hymn that equivocates a machine’s dream to our nightmare, albeit a beautiful one that would make Steve Wonder blush. If you can overlook Nagano’s abstract and at times nonsensical lyrics, you’ll be rewarded by her dark, yet uplifting croons that would give Portishead’s Beth Gibbons a run for her money. Not to mention, she’s backed by three guys who layer juicy synth tones with gritty drum beats better than most. Breathing fire and passion, Little Dragon more than lives up to their name sake.